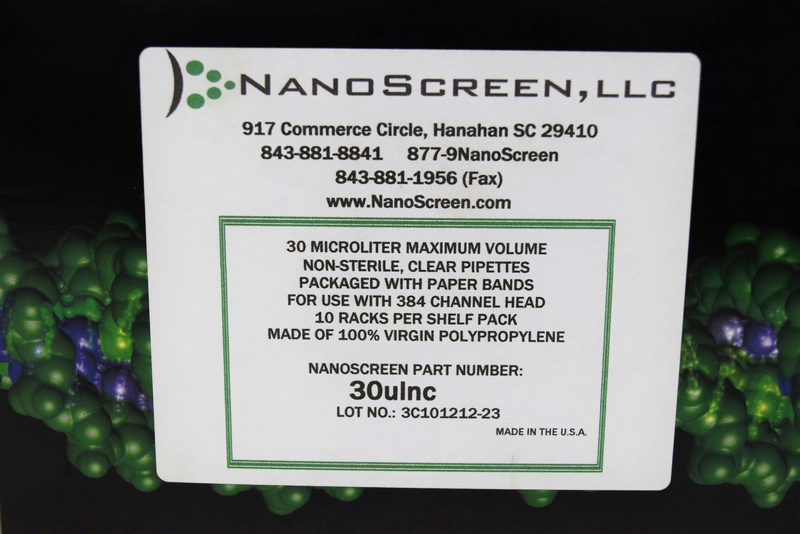 Nanoscreen Pipette Tips 30ulnc Sealed Case of 5 Packs of 10 Racks 384 Channel . New Life Scientific, Inc.
Nanoscreen tips are compatible with CCS Packard/PerkinElmers Evolution P3, Janus, MiniTrak and PlateTrak, and Beckmans Multimek and their own Libra and upgraded Multimek liquid handling workstations. These are 384 per rack of Non-Sterile Clear tips. These are new sealed cases, unopened, five packs of ten racks per case, for a total of 19,200 tips.